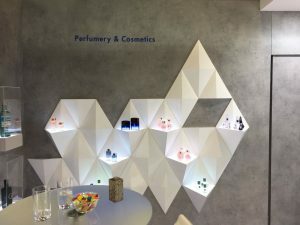 At Luxepack Monaco, CEOs and High-Level delegates from the European Glass Flacons Industry showed off some of their new perfumery and cosmetics products and recent brand partnerships that are successfully matching three big consumer trends: Brand Awareness, Digital Big Bang, and Emotion. The panel – chaired by Michel Fontaine, President of the Conseil National de l’Emballage – said luxury brands are more and more under pressure from an increasingly consumer-centric and global market. Consumers no longer just passively buy a product, they want to know a lot more about the brand, how it is produced and what the company stands for. “The European glass flaconnage sector is partnering with customers to help reduce products environmental footprint through packaging innovation e.g. glass lightweighting, carbon footprint evaluation, and resources efficiency through equipment optimization” commented Isabelle Lallemant, Group Marketing and Innovation Director at Groupe Pochet. The industry is embedded in European cultural heritage with a strong and transparent corporate social identity that adds equity value to brands. 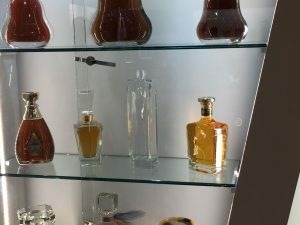 “Consumers trust glass for its authenticity as a packaging, and as an industry that’s enrooted in the history of Europe” commented Simone Baratta, Prestige Perfume Business Unit Director of Bormioli Luigi “innovation and sustainable production are genuinely integrated with this heritage”. Such strong traditions are the basis from which the industry is now heavily investing in a transition to industry 4.0. “The industry is adapting to keep relevant with the digital Big Bang” declared Etienne Gruyez from Stolzle Masnières, “today for example we can provide new finished samples to our customers in less than 4 weeks thanks to a complete digitalization of the design phase. Digital printing allows us also to minimize errors and reduce costs”. Brands want to have ease of access to high quality packaging solutions that meet increasingly demanding design and technological requirements. “This can only be achieved with the most advanced know how in glass production. Brands also want to have more environment friendly solutions. Today we are able to provide innovative measurement tools and products that help customers to reduce their environmental impact.” according to Samuel Joachim, Group Innovation and Development Director in Verescence. The authenticity of glass material is also the unique and precious emotional touch point brands can count on. “Emotion is the key driver in the conception of new flacons and we work tightly with customers to make sure the really fit with the product identity”, ensured François Cheru, Sales Director of Verreries Brosse. Unlike any other packaging materials, glass is loved by consumers. According to a recent consumer survey carried by the consumer platform Friends of Glass, 85% of European consumers recommend glass as packaging for their best loved products. “It is the only material which naturally stirs emotion through its touch, feel, its unique design, its weight and makes products stand out on shelves”, says Virginia Elliott, Global Head of Sales for Heinz Glas Group “brands rely on glass to create consumer empathy, communicate the elegance and prestige of their products. We can now create this empathy also through digital applications which will allow consumers to own unique products”. The European Glass Flacons Industry is world leader in the perfumery and cosmetics packaging design, production and decoration know-how. As key component of the overall glass container industry, it is imbedded in Europe where it employs some 9,500 people. 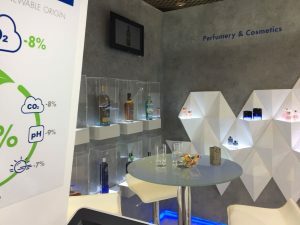 The sector includes packaging for pharma and it is also the reference in other luxury and high-end segments like spirits and prestige wines. 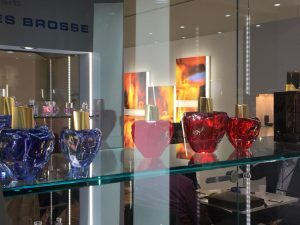 “It was amazing to see how European glassmakers are eager to adapt to changing consumer needs, while not compromising on quality, elegance, prestige which is a ‘must’ for brands”, concluded Michel Fontaine. “They continue to both produce gorgeous luxury products and give priority to sustainability, transparency and authenticity. They must do it to continue to be leaders. And they do both. A great and inspiring challenge”.